We are so happy you are interested in our Seed Program via the Nourishing Community Gardens and Medicinal Seed Saving projects. We are asking that each applicant fill out a quick form so that we know who to ship to, what size of seed grant kit you are interested in, and we gather information for our reporting to seed donor companies. Seed Grants first go to active/current members and Chapters, followed by other groups applying for seeds. We will also announce all seed grant recipients, so please be sure to include the name of your Chapter, club, group, nonprofit, or business for the listing. ​All seeds are FREE, but we ask you to cover the cost of shipping and packaging (see below). All seed grants are good only for gardens in the US & US Territories as permitted by law. Due to laws and regulations (and stipulations per seed donors), we are unable to send seeds out of the US at this time. HWB will work to fairly distribute food, flower, culinary herb and medical herb seeds in each seed grant kit. Each kit will contain a variety of seeds. We are unable to pick specific seeds for each grant. Please be sure to read this page in full before you complete your application! Read this page in full. Apply for seeds using the online form. Select the size of the seed kit you want. Upon approval, we will email you a link to checkout and pay for shipping based on which size you selected, or what size we have available/remaining. Your seeds will be shipped to you. Take pictures, and report back to let us know about your project. All seeds have been donated to HWB and are not for resale. You may use them in many ways, however. Pass out free seeds during your free clinic or at a table event where you are distributing HWB materials and information. Start seedlings and distribute plants to the public at your local food pantry. Work with a local farmer to plant a row of medicinals for your Chapter or projects, to plant flowers for pollinators, or plant a row to donate to food pantries. Help start a community garden/plot. Plant an urban median or strip in front of a local business with medicinal, food, or flower seeds. Make seed bombs for empty lots. Grow a container garden at your local community apothecary. Grow plants for education, demonstrations, or for your Chapter to use to make items for your community clinics. Grow medicinal plants to use for Chapter activities or to donate to HWB for our free people's clinics or disaster relief. Grow a demonstration garden to save seeds for your seed library. Start an herb garden at your local senior center or food pantry. Work with a local school or library to plant a children's garden. Start a seed library or seed bank for your Chapter and community. There are so many ways to use seeds - let us know how you used yours! And finally, please keep those seeds going! Seed saving, harvest & distribution, seed libraries and seed banks are encouraged! Quantities were updated for 2019 to reflect how many seeds have been donated to HWB for this season, and how many seeds were requested last year. USPS raised rates so our shipping base cost has gone up $1 to accommodate the price of shipping plus tape, printing labels, and post office delivery. We are required as a 501c3 nonprofit to monitor our projects and collect information on how our donations and funds are being used. We also have received these seeds from donor companies who also want to see how the seeds were used in communities. For those reasons, by accepting seeds you agree to report how your seeds were used, the successes of your project, and ongoing goals. We also need photos of your seed starting, planting, community gardens, seed bomb making, seed library, seed bank or plant a row programs! Show us how you are getting food and medicinal plants into your community - we will share your photos as inspiration to other members, and to the seed donors to show them how HWB is growing gardens and protecting our plants. Donors require seed recipients to share pictures, so please take photos throughout the season and include them in your mandatory grant reporting form. 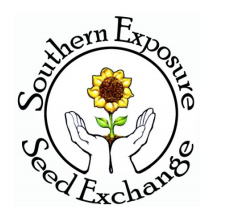 Those that do not send photos may not qualify for a seed grant next year. We will post an online grant report form on the website for you to complete later this year. Information you can provide will include - an overview of your project, how did you use the seeds, how has it impacted your work and community, what comes next for your project? Please send us at least 3-5 photos of your project - although we welcome more! HWB is an all volunteer organization, with only one person packaging and shipping seeds from one location. We will make an effort to process and ship seed grants as quickly as possible, but if there is a huge response it may take us a week or more to ship everything. Please be patient! These requests will be reviewed and then granted on a first come first serve basis, with priority given to current HWB members and Chapters. All grants are based on availability, and we will close the grant application when all seeds marked for the seed grant program are spoken for. If you have a need for more seeds than a large grant for a project that aligns with HWB values, please let us know in the notes area at the bottom of the form, and we will try to meet your request based on availability of seeds. HWB reserves the right to assign you a smaller size seed grant than you request based on availability/demand. Apply For Seed Grant Now! The shipping fees cover cost of shipping, packaging/tape, label, and online payment processing fees deducted by the payment system.